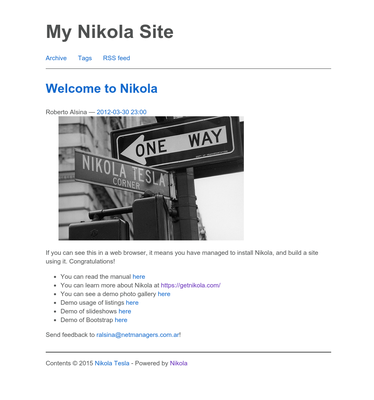 Nikola requires assets/css/rst.css and assets/css/code.css to function properly. 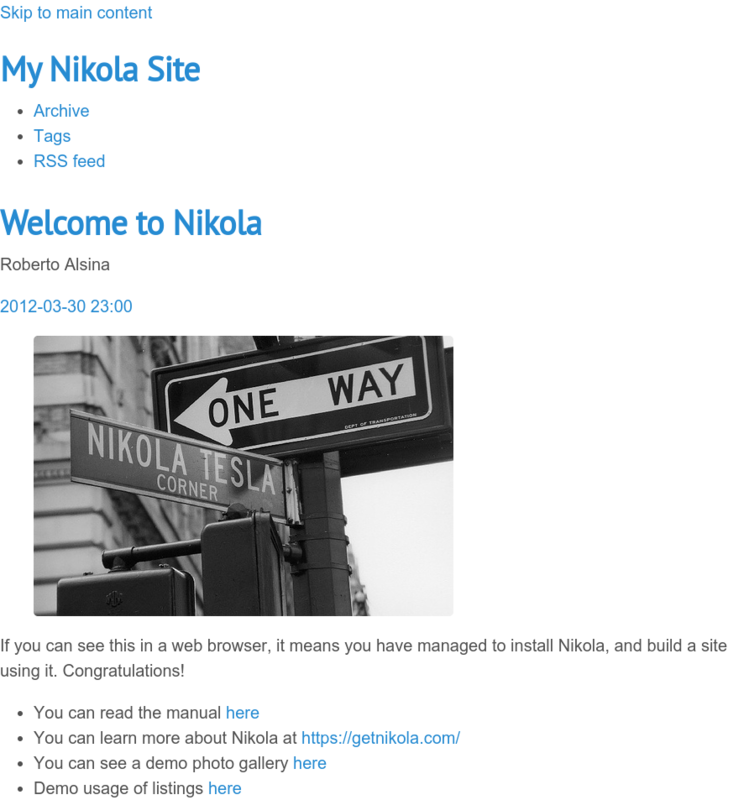 We will also add themes for IPython Notebook (assets/css/ipython.min.css and assets/css/nikola_ipython.css) into the template; note that they are activated only if you configured your POSTS/PAGES with ipynb support. 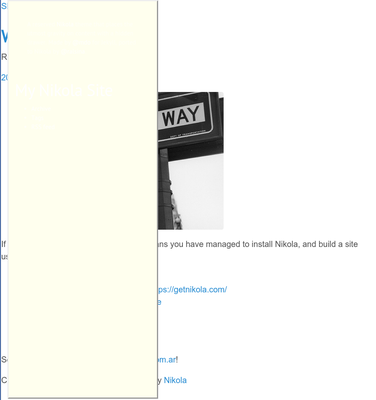 One problem, which causes that yellow color in the sidebar is a CSS conflict. 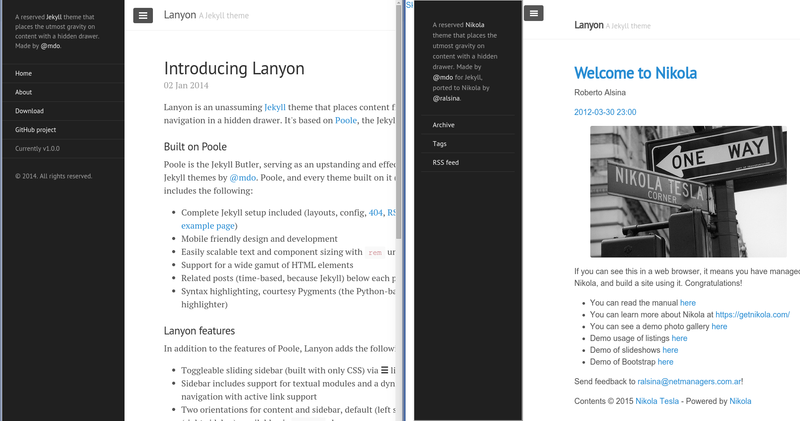 We are loading rst.css which specifies the background color of div.sidebar which is more specific than lanyon.css, which specifies for .sidebar alone. 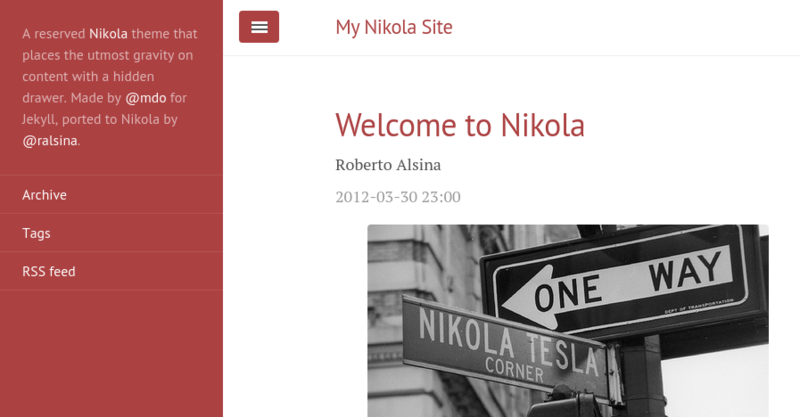 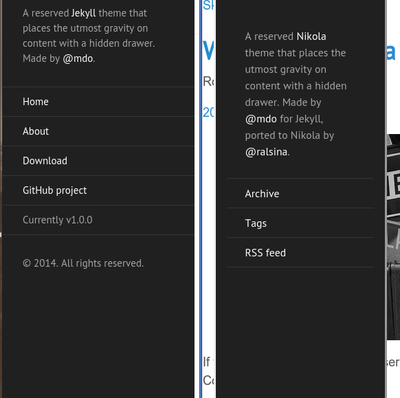 The sidebar looks bad because of yet more CSS conflicts with rst.css. 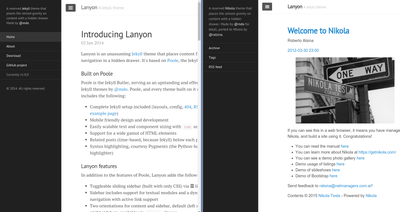 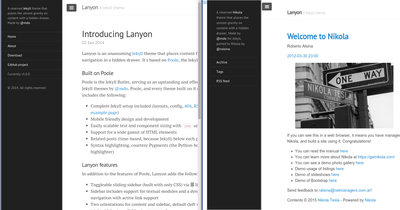 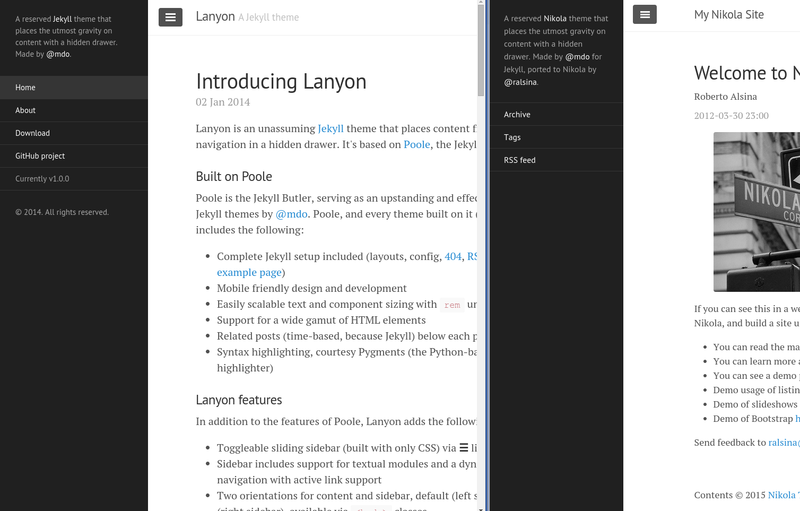 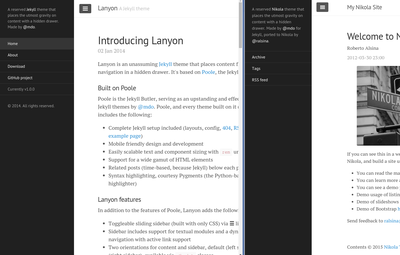 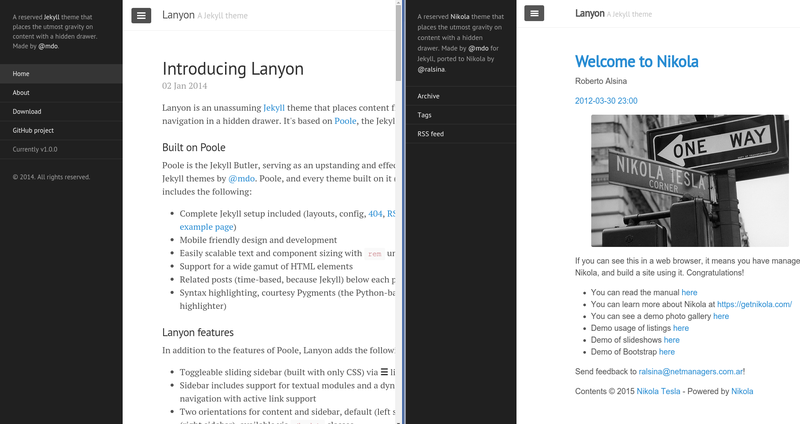 By adding some extra styling in lanyon.css, it will look better.